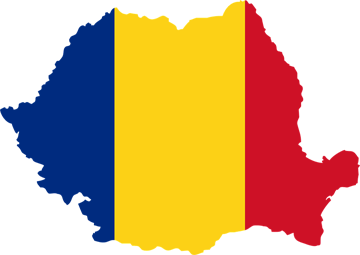 Call 1-800-450-5319 or complete our online form for a FREE quote and more details about A1 Overseas International shipping services to Romania! Entrusting others to care for a possession of such great value while they transport it to foreign lands might have you worried. Take the time to research and find a reputable and qualified company for the job. For instance, the superior service provided to those in need of auto transport earned A1 Overseas International a positive reputation. They understand the level of professionalism and caution that must be practiced with each international auto shipping process they oversee. Aside from booking a date for the vehicle to begin its travels to Romania with the transport experts, other preliminary steps must be taken. Without providing proof that the country’s auto import laws are being respected, the vehicle’s import will be denied. Even though Romania believes in participating in green initiatives, addressing the needs for the vehicle’s legal import into the country is relatively simple. The international auto shipping specialists at A1 will walk you through the shipping process to help create a pleasant and positive experience in every aspect they can. They understand that dealing with foreign policies, especially import laws, can be confusing and time consuming to address. After you call the Embassy of Romania to learn of the auto import policies as suggested, A1 will help you stay organized while assisting you in the gathering of necessary documents and paperwork. Aside from attempting to lessen the stress often involved with the tedious and hasty prep work required for the vehicle’s international transport, our transport experts will take great caution during their time caring for your vehicle as they embark by boat to Romania. Their primary focus is to assure that the automobile is secure on the water vessel the entire trip, protecting it from any possible harm before they get it to the proper Romania port. Our transporters are trained and expected to arrive on time with the vehicle being delivered in the same condition it boarded the ship in. We only allow highly trained and experienced hands touch the automobile throughout the shipping process. We carry maritime insurance to cover any accidents and damages if they happen to harm the vehicle. Of course, filing a claim is very unlikely, but it’s nice to know it’s there just in case. Your vehicle is secured on one of our large, durable and well-constructed boats designed specifically for importing and exporting while travelling across the seas frequently. It is fastened with the latest and most innovative tools, favorable and appropriate for vehicle shipping. Get in touch with us today by submitting the form or calling 1-800-450-5310 to learn more and receive a FREE quote for our services.